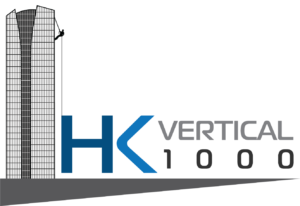 The HK vertical 1000 is a charitable event to raise money to support Outward Bound Hong Kong in running adventure training programs for disadvantaged young people in Hong Kong. Outward Bound is committed to developing the people of Hong Kong through facilitated and challenging personal and group learning experiences in the outdoors, delivered in a safe and supportive manner. Outward Bound courses act as a catalyst in a person’s life. Our courses take people on a journey of self-discovery, impelling them to undertake challenging outdoor adventures that require great personal effort and commitment. In doing so, Outward Bound allows people to discover what they are truly capable of, creating and harnessing the passion and self-belief that can influence them to change their lives for the better. Outward Bound courses provide a real and tangible classroom in which to develop the leaders of tomorrow, which is more vital than ever in the complex societies of the 21st century. We embrace social responsibility by tailor-making courses developed to address needs through challenge, adventure and self-empowerment. The portfolio for Outward Bound’s Community Based courses is diverse and it provides an opportunity for a wide range of at-risk, special needs or economically disadvantaged youth. These community courses focus on helping participants improve their self-esteem, understand their impact on others, and strengthen their ability to recover from setbacks. Throughout the courses, they are able to picture mentally a positive vision of what they can aspire to be and understand how their actions influence other people. They are also able to face challenges head on and deal with situations in a more confident and resilient way. The organising committee comprises Outward Bound Board Members, volunteer staff, and Outward Bound staff members. The committee will call on friends and business contacts to provide support for the event whenever possible. 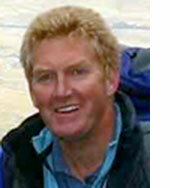 Iain Peter is a qualified Mountain Guide with over 30 years of mountaineering experience. He has climbed and explored in many of the world’s key mountain ranges and has made many significant ascents including the Eiger North Face, Cerro Torre, Choy Oyu (8,201m) and Gasherbrum 2 (8,035m). In 2007 he led a successful commercial expedition to the summit of Mount Everest (8,874m). Iain started his outdoor career as an instructor at Glenmore Lodge National Mountaineering Centre in Scotland (where he trained and assessed mountain leaders and instructors) and at the International School of Mountaineering in Leysin, Switzerland. For 5 years he was Executive Secretary of Mountain Leader Training UK with overall responsibility for all mountaineering training and qualifications in the UK. He is a past Training Officer with the British Mountaineering Council. From 1997 until 2006 Iain was Chief Executive of the Mountain Training Trust, a ground breaking Charity which manages Plas y Brenin National Mountain Centre on behalf of Sport England. (Plas y Brenin design and run courses covering all aspects of hill, moor and mountain leadership). Iain was a Trustee of The Outward Bound Trust (2006 -2013), Chaired the OBT Risk Management Committee, was a board member of Outward Bound International and a member of the OBT Scottish Council, Chair of the Scottish Adventure Activity Forum and co-author of the definitive mountaineering textbook “The Handbook of Climbing”. In 2012 Iain was the overall lead for the OBT “Descent of the Shard project” and in 2015 he led the very successful “City Three Peaks project” for the OBT. In 2013 Iain was appointed Executive Director of Outward Bound International and now oversees OBI’s activities in 34 countries around the world.